0.1 The digital realm is multidimensional, and therefore not as easy to perceive as the physical world. This challenge is at the crux of the difficulties related to IT projects: How to determine when a delivery of a multidimensional project is of a satisfactory quality and ready for release? The digital realm is multidimensional, and therefore not as easy to perceive as the physical world. This challenge is at the crux of the difficulties related to IT projects: How to determine when a delivery of a multidimensional project is of a satisfactory quality and ready for release? Figure 1: Linear automation. 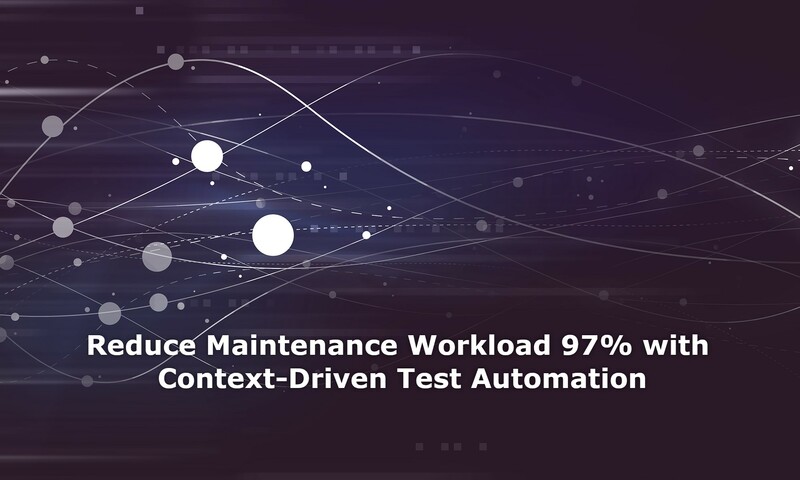 1,600 standalone test cases (100 tests per feature), each of which requires continuous maintenance. 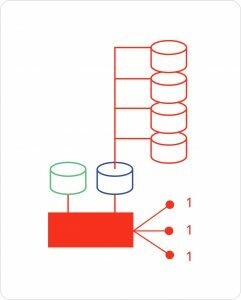 Figure 2: Data-driven automation. The 1,600 test cases are deconstructed, and the same level of test coverage can now be achieved with just 200 data-driven test cases. 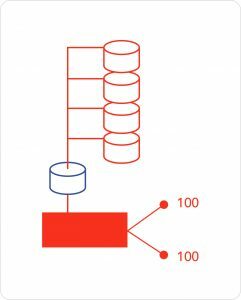 Data-driven automation hides another layer of unnecessary complexity for the tester who no longer has to worry about the individual data entries but just needs to know how to plug data sources into his/her automation flows. At this stage, the amount of test cases is much more manageable for any test team, but the complexity is instead moved to the test data, where there are still several dimensions to navigate. A test data set of 100+ parameters, the majority of which are either not used for each test case or spread across multiple data sources, is still incomprehensibly complex. In practice, context-driven automation is made possible by having engineers do all the technical pre-configuration of data sources and relations, before these are used in automation flows. Complexity is split into layers, each of which takes care of a comprehensible part of the complexity. This way, flows are “reduced” to business processes per se. The pre-configuration includes any customizations required for testing your system in your organization — i.e. your context — meaning that a tester can build automation flows without having to take into consideration custom adaptations of the system under test. As a result, entire test suites can be reduced to a few archetypes of flows that are contextual and compatible to changes in the surrounding context, e.g. test environment, data sources, system customizations, multiple product versions, etc. Figure 3: Context-driven automation. The 200 data-driven automation cases can be further reduced to a few archetypes by moving contextual configurations from the cases themselves to an additional data source. I came across your article on the Leapwork blog, and then found your site via google. I’m not sure if I’m just misunderstanding the concept of the Context-Driven Automation, but I think a practical example may be beneficial. However, to see if I understand can I give an example? I have a system where 4 types of absences can be booked. With data-driven automation, I would have a single spreadsheet data source that contained Log in details, and perhaps a relationship between manager and employee. I would then have 4 flows for happy path tests to book 4 different types of absence and have a manager process them – I would specify the business parameters pertinate to the test within the flows. The same system is used. Only this time I have a second spreadsheet data source. Within this source I would have a row per leave type, the row could also specify what would happen with the request. I would then have 1 flow, that is driven by both data sources. All of the data that drives the test comes from the data sources – though I would generate any date related items. Is this what is meant? Or do I have the wrong end of the stick? I’m not quite sure I understand your example. Each application can have different buttons, texts, images, tags, etc. Each browser can have a different layout. Each device can have different screensize, buttons, etc. This would be a 4 dimensional figure (4x3x4x3), which can be converted, by multiplying all the dimensions and put them into columns 4x3x4x3=144 columns. The data about the applications (buttons, texts, etc. ), browsers, and devices would be contained in rows. If you add even more roles, platforms, versions or other parameters this will grow quite large. The grid could be reduced with for example the pairwise algorithm, but that would make it more complex to read, how the dimensions span over the columns. There would be a datasource-table for the application, web browser, and devices, where data is stored as rows and different configurations of data is stored as columns. The main data-source could then link to a column in each of the 3 datasources, describing it’s context. I could easily read the links, without having to read through all the data within each of the 3 datasources. If I changed the application from application 1 to application 2, then automatically the buttons, tags, texts, would change, but I wouldn’t see it. Yes, I could still have 144 columns, but in this case I would only end up with 3 rows. On the other hand, I don’t have to have 144 columns, but can make script, that can execute all the possible combinations for all 3 rows or make a script that generates a pairwise setup and executes only a handful of them. 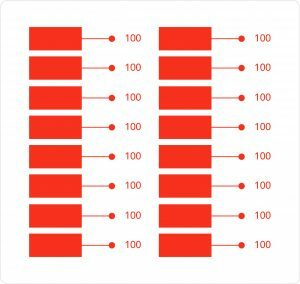 In this way I would only maintain 4 test cases (columns) instead of 144 test cases (columns), which is a reduction of 97,2 %. The first 4 columns would contain 3 rows. The second 3 columns could contain 60 rows. The third 3 columns could contain 10 rows. The forth 2 columns could contain 11 rows. It would then give (4×3 + 3×60 + 4×10 + 3×11) cells = 265 cells, which is a lot less to maintain than the data-driven 11664 cells, from the data-driven example. Which in this case is a reduction of 97.7 %. Sorry about my example, I tried to contextualise it a couple of times, but failed. I understand what you’re saying, but I’m a very visual person. Are you able to mock something up in Leapwork and share a screenshot of that? It would be wonderful if you could do a followup blog article and go into setting this up in Leapwork. I’m at the stage where I’m trying to move to the ‘context driven’ and can do it from some level, but I was controlling part of it from variables in the schedule. I appreciate that you may not have time. Perhaps it’s an idea to ask Leapwork to expand this idea in an FAQ or similar.